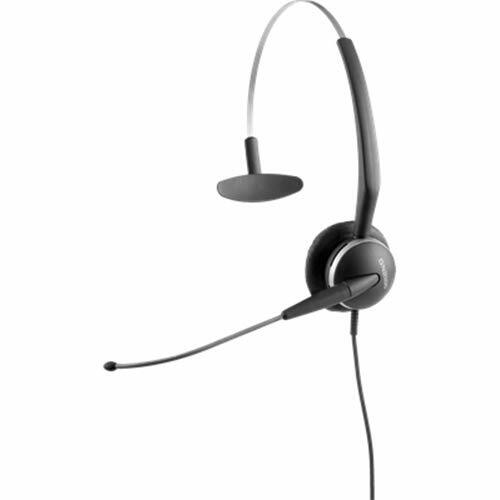 JBR2104820105 Features: -Headset. -Headset Type: Monaural. -Headset Style: Convertible. -Earpiece Type: Ear Cushions. -Earpiece Material: Leatherette. -4-in-1 model allows user to pick a wearing style;earloop, earhook, headband and neckband. Connecting Types: -Standard Rj9 Jack. Earpiece Type: -Cushioned. Global Product Type: -Headsets-Monaural. Headset Style: -Earloop/ Earhook/ Headband/ Neckband. For Use With: -Desk Telephones. Microphone: -Noise Canceling. Color(s): -Black. Earpiece Material: -Leatherette. Headset Type: -Monaural. Required For Operation: -Rj9 Plug. Dimensions: Overall Height - Top to Bottom: -2.68". Overall Width - Side to Side: -7.37". Overall Product Weight: -0.65 lbs. This lightweight, stylish phone headset lets you roam up to 300-ft. from your desk phone. Three different wearing styles, over-the-ear, over-the-head or behind-the-ear, let you adjust the headset for your personal comfort. The extended boom and noise-canceling microphone filters out background noise so your voice comes through loud and clear. Advanced DECT wireless technology allows for super-clear conversations without interfering with other wireless devices. Extended battery life (up to 10 hours) and handy one-touch controls allow you to stay away from your desk all day. Features functions for volume, mute, call answer, and call end. Headset Type: Monaural; Headset Style: Convertible; Earpiece Type: Ear Cushion and Earloops; Earpiece Material: Leatherette. 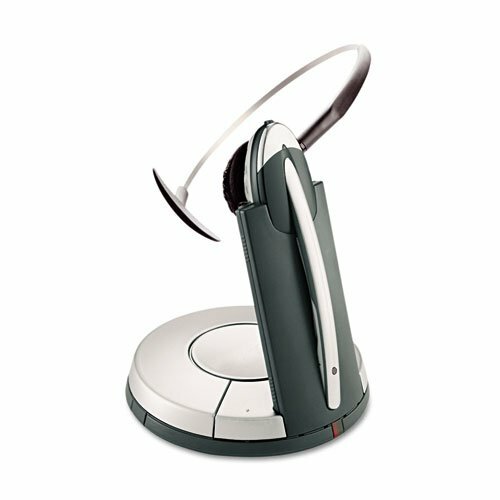 This lightweight, stylish phone headset lets you roam hands-free - and wirelessly - up to 300-ft. from your desk phone! Adjusts for 3 different wearing styles for your personal comfort: over-the-ear, over-the-head or behind-the-ear. The extended boom and noise-canceling microphone filters out background noise so your voice comes through loud and clear. Advanced DECT 6.0 wireless technology allows for super-clear conversations and the lowest probability of interference from other wireless devices. The headset's extended battery life (up to 10 hours) and handy one-touch controls allow you to stay away from your desk all day! Features functions for volume, mute, call answer, and call end. Global Product Type: Headsets-Monaural; Headset Type: Monaural; Headset Style: Convertible Heads-Over The Ear/Head; Earpiece Type: Leatherette Ear Cushion and Earloops. Enjoy all the benefits of hands-free mobility plus the convenience of connecting to both traditional and PC-based telephones with a lightweight, ergonomic headset that offers remote call controls up to 350 feet from your desk. DSP and IntelliTone technologies ensure superb sound quality and greater hearing protection. Wideband audio delivers sound so clear and real it feels like a face-to-face conversation. Intuitive on-base LCD makes it easy to set personal sound preferences. Noise canceling microphone ensures that every word is understood. 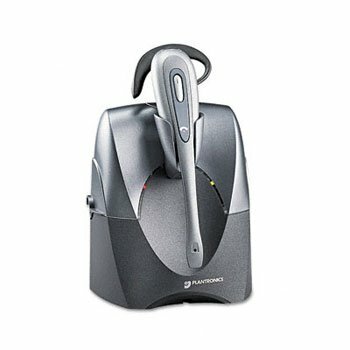 Multi-unit conferencing capability with up to four additional headsets. Headset Type: Monaural; Headset Style: Convertible; Earpiece Type: Earloop; Earpiece Material: Plastic. 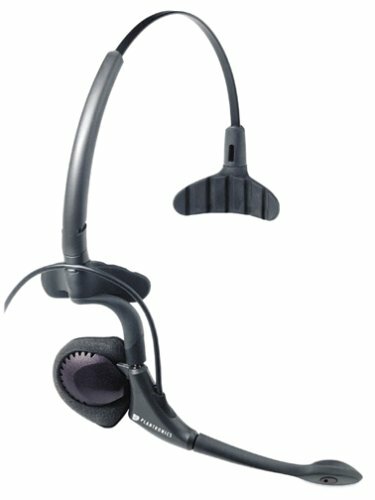 Unique anti-twist boom ensures noise-canceling microphone stays properly positioned. 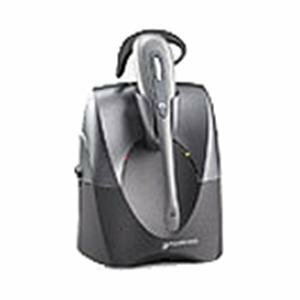 All models available with voice tube or noise-canceling microphone. Adjustable double T-pad headband, earloop and clothing clip provide all-day comfort. Reduces background noise and incoming loud tones while enhancing call clarity. Advanced speaker technology for optimal clarity. Speaker pad balances off the ear for clear sound without pressure. 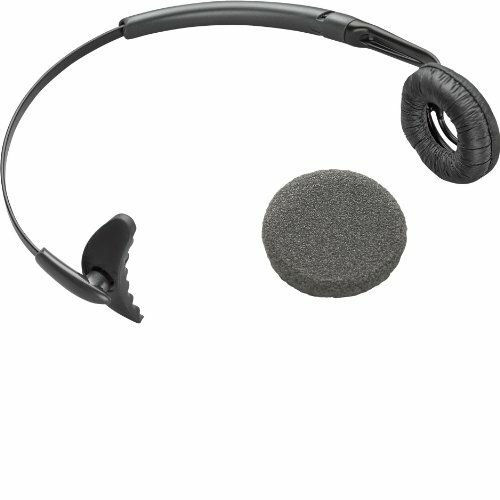 Headset Type: Monaural; Headset Style: Convertible; Earpiece Type: Adjustable Earloop; Earpiece Material: Foam. Sits comfortably, securely behind and on top of either ear. No eartip or headband. Compact, lightweight headset with superior acoustics and sound reception. Quick Disconnect lets you leave your desk while the caller remains on the line. Reduces background noise and incoming loud tones while enhancing call clarity. Lightweight over-the-ear design. Headset Type: Monaural Headset Style: Over The Ear Earpiece Type: Earloop Earpiece Material: Plastic Disk. Shopping Results for "Monaural Earloop"